Ben Foster gave a fairly honest response when asked about his feelings following Liverpool’s 5-0 humiliation of Watford last night. 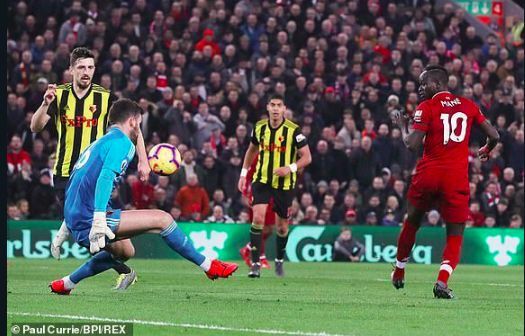 The former Manchester United stopper let in five at Anfield, as did his predecessor Orestis Karnezis last season – when Mo Salah bagged four. Ben Foster heads out of Anfield with a brief, but accurate, summary of the game from a Watford perspective. Liverpool’s performance was so fluid that it’s almost confusing we’ve been so stale in other games this calendar year. Salah was electric down the right, Sadio Mane got a brace down the middle, including an audacious back-heeled chip – and Virgil van Dijk powered in two of his own! But for us, the two real stars of the show were Fabinho at the base of midfield and Trent Alexander-Arnold marauding down the right. Now the key is for us to bring this form into the weekend, where we face Everton in the Merseyside Derby.